Staff at Il Forno and Sapporo Teppanyaki are delighted to have taken home some fantastic accolades at the 2014 Liverpool Food & Drink Awards. 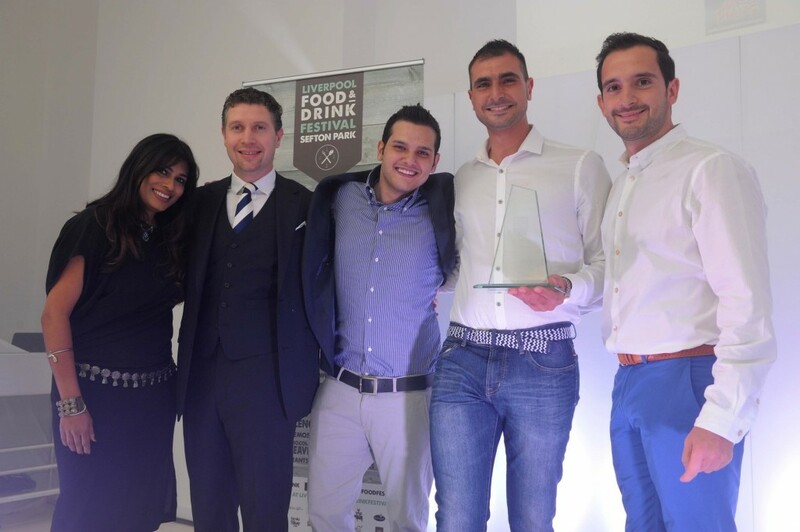 Il Forno won the award of Best Customer Service whilst neighbouring restaurant, Sapporo Teppanyaki, took home the award for Most Family Friendly restaurant. Donato Cillo, General Manager, Il Forno and Jesney Chong, Area Manager, Sapporo Teppanyaki both celebrated the victory and congratulated staff for another year of hard work which has truly paid off! Il Forno team with Operations Director Theo Tsiolas accepting award from Nisha Katona at 2014 Food & Drink Awards.